COURSE DESCRIPTION: Learn how to tap into the power of your subconscious mind to achieve writing success. Based on the instructor’s book LIVING WRITE: The Secret to Bringing Your Craft Into Your Daily Life. Fee includes EITHER a free critique of any genre, up to 10 pages, or a 15 minute one-on-one phone consultation with the instructor on any topic related to writing (must be scheduled prior to the end of class). Learn key components of a writer’s mindset. Setting SMART goals and programming the subconscious mind to help attain them. Identifying self limiting thoughts, feelings, and behaviors and learning how these impact writing habits. Identifying role models and traits of the role model and incorporating these into your writing habits. Materials Needed: An Internet connection and email access. All written materials and lectures are provided by the instructor. 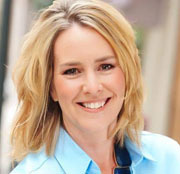 ABOUT THE INSTRUCTOR: Kelly L Stone (http://authorkellylstone.com/) holds a master’s degree in counseling and is a licensed therapist. She started a successful writing career while holding down a full time job. She then wrote TIME TO WRITE (Adams Media, Jan '08) to show other aspiring writers how to do it, too. Her novel, GRAVE SECRET (Mundania Press, Sept '07) was called “powerful” and “well written” by Romantic Times Book Reviews. Her third book, THINKING WRITE: The Secret to Freeing Your Creative Mind (Adams Media, Oct '09) demonstrates how to use the power of your subconscious mind for maximum writing creativity. And her fourth book, LIVING WRITE: The Secret to Bringing Your Craft Into Your Daily Life (Adams Media, Sept '10), which this class is based on, shows writers how to overcome their fears, gain confidence in their writing abilities, and make writing a daily priority. Kelly’s work has also appeared in Chicken Soup for the Soul and Cup of Comfort anthologies, as well as Family Circle magazine, Writer’s Digest, Cat Fancy, and others. BUY NOW: Empower Your Muse, Empower Your Writing Self, by Kelly L. Stone (4 weeks, starting 7/8/2019) Limit: 15 students. Early registration is recommended. BUY NOW: Empower Your Muse, Empower Your Writing Self, by Kelly L. Stone (4 weeks, starting 9/9/2019) Limit: 15 students. Early registration is recommended.